The LUMIX G VARIO 12-35mm F2.8 ASPH standard zoom offers a versatile focal range and a fast maximum aperture in a relatively small package, backed-up by excellent image quality throughout the focal range, the best build quality of any Panasonic Micro Four Thirds lens yet released, a tactile manual focusing system and impressively fast and quiet autofocusing. It is a little soft at F2.8 though, so it's best used stopped down to F4 for the best results, and the asking price of £999 / $999 makes it more expensive than most Micro Four Thirds bodies. This lens is very small and quite lightweight considering the zoom range on offer, making it well suited to life as a walk-around lens. It's also extremely fast to focus on the DMC-GF3 camera that we tested it with and also virtually silent too, making it well-suited to candid stills and video work. Build quality is fantastic, with the metal manual focusing barrel an unusual touch. Optically the lens is a great performer. At all focal lengths, it's best to stop it down by one f-stop for optimum results - at F2.8 the center and edge sharpness is less acceptable. Chromatic aberrations are only noticeable by their almost complete absence, while distortions are automatically corrected on both Olympus and Panasonic bodies. 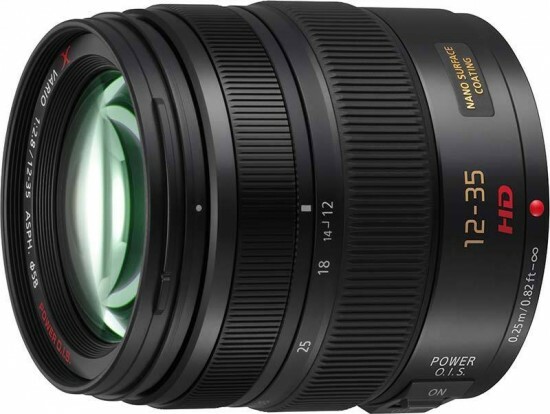 The only real drawback of the LUMIX G VARIO 12-35mm F2.8 ASPH lens is its price, and what an eye-watering drawback it is. £1000 / $1000 is an awful lot to ask for any lens, especially one that probably costs more than the body that it's mounted on. If you really need the versatility of a standard zoom, though, we can heartily recommend the brand new Panasonic LUMIX G X VARIO 12-35mm F2.8 ASPH for all Micro Four Thirds users.